Single malt Scotch is hugely successful in the US right now, but the craft distilling boom is spawning a large number of locally-produced rivals for people’s affections. Why are people buying them? And how serious is the threat to Scotch whisky? Lew Bryson reports. When someone says ‘single malt’, the automatic assumption is that they're talking about Scotch whisky and, better than nine times out of 10, that's correct. Single malt Scotch whisky has been a tremendous success story, not only revitalising an industry that was deep in a glut and somewhat rudderless, but also inspiring other whisky categories to emulate the success of ‘premiumisation’. It should be no surprise, then, that such success has led to a more direct emulation: making single malt whisky outside Scotland. The Japanese are well-established in the field, as is Bushmills in Ireland, and the stunning debuts of distillers such as Kavalan (Taiwan) and Amrut (India) have shaken things up on the world market, with a promise of further competition. 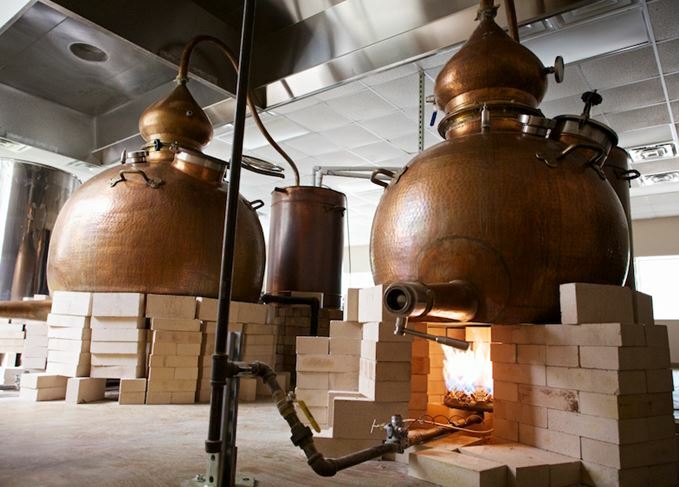 But the American craft distilling surge may represent a different challenge altogether. It is currently only a tiny cloud on the horizon, a matter of hundreds rather than hundreds of thousands of barrels of aging spirit. Will it remain tiny and diffuse, floating in a sky full of craft-distilled Bourbon, rye and alternative grain whiskeys? Or will it grow into a storm in this important Scotch whisky market? American single malt provides a different challenge than that from the Japanese, Irish, and other distilling cultures, for similar reasons to the stunning success of another malt-based American phenomenon: craft brewing. This diverse group of small start-ups challenged the total dominance of America’s big brewers and won, carving out a share of that huge market that stands at 13% and growing. They did this through a combination of factors: difference, the appeal of the underdog, local and community ties, and a higher price that effectively signalled higher value. The success led to brewers in the UK, Scandinavia and the Far East making beers in the heartily-hopped American style. American craft distilling in general is tracking a similar profile, on a compressed timeline. The number of distillers has ballooned in the past five years, from around 200 to over 1,000, and many of them are making whisky. They're getting attention, getting reviewed, and getting better. While Irish, Japanese, Indian and Taiwanese distillers altogether currently account for perhaps 25 makers at most, American distillers could potentially flood the shelves with brands. They're not all wet behind the ears, either. Lance Winters has been making malt whisky at St George Spirits in Alameda, California, for 20 years. Winters blends small amounts of those older whiskies into the annual St George Single Malt release of about 3,000 bottles (the whisky is labelled without an age statement). Winters wanted to make malt whisky, but St George’s founder and first distiller Jörg Rupf steered him away from making ‘Scotch’ whisky. Winters got it quickly. That’s classic American drinks style there: tip your hat to the original, then race off in your own direction. Not everyone hews to it, though. Amanda and Nick Swift opened their Swift Distillery in Dripping Springs, Texas, to make malt whisky aged in ex-Bourbon barrels and finished in Sherry casks. ‘We only ever wanted to make Scotch, basically,’ Nick admits. The Swifts’ point of departure is size and quality. ‘Amanda and I try to use the highest-end ingredients, do everything by hand, and do everything here at home,’ Nick says. ‘We pick the nicest Bourbon barrels, and just the right ones. The same with the grain.’ Their malt comes from northern Scotland, their barrels are selected from Four Roses. Those are only two of the distillers making single malt whisky in America (and it’s worth noting that there is no legal definition of ‘single malt whisky’ in American regulations; distillers put it on their label as part of their ‘fanciful name’), but their two different directions sum it up pretty well. You can make it like Scotch while putting a regional stamp on it, in the same way distillers in Japan and Taiwan have. Or you can start at the same place with 100% malt, and take it in a very different direction: new barrels, differently processed malt (caramel, chocolate, Vienna), smoke other than peat, different yeasts and so on, deliberately missing the Scotch mark. Whatever they’re doing, American consumers are buying it. St George, Swift, Balcones, Stranahan’s, Westland, McCarthy’s and many more are selling every drop they make, at prices similar to entry-level single malt Scotch. Why do people buy these whiskies over proven Scotch whisky? Right now, that small cloud is still tiny, and on the horizon. But there are new distilleries opening, literally every week, and consumers are eager to try local products. It’s worth noting that a lot of people who won’t try whisky will probably buy a locally-made whisky, even if they have to mix it with cola to drink it. Given the American craft brewing story of success, Scotch whisky might want to buy some umbrellas.